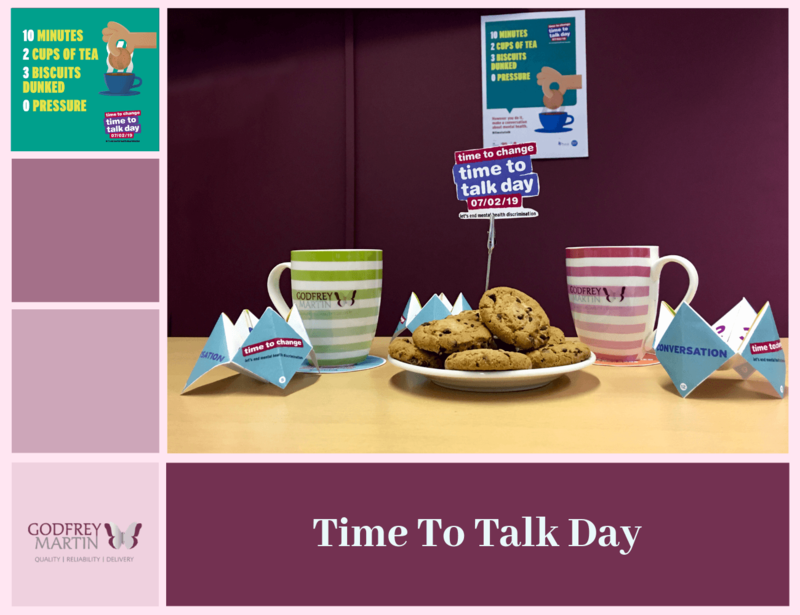 Today we are supporting Time to Change, a growing movement of people changing how we all think and act about mental health problems, in their campaign Time to talk day. We are always under pressure, always in a hurry, but 10 minutes of our precious time can make a huge difference to someone’s life or to our own. Take your time, grab a cuppa and have a chat about all things mental health! Whatever your story let’s talk. Constant pressure to meet deadlines and budgets, job insecurity and a macho culture have all been cited as reasons why the construction sector has such a high rate of mental health problems. Today we encourage you to have an open conversation, no judgments, no pressure, a delicious cuppa and a friendly chat. Do not bottle it up, talk about all things mental health! Let’s change together the way we think and act about mental health in the construction industry!